I do believe this is the best thing I’ve grilled all summer. …because just the other day, I grilled bacon. The.End. There really is no competing with crispy fatty bits, but this grilled veggie side dish is just such a winner. 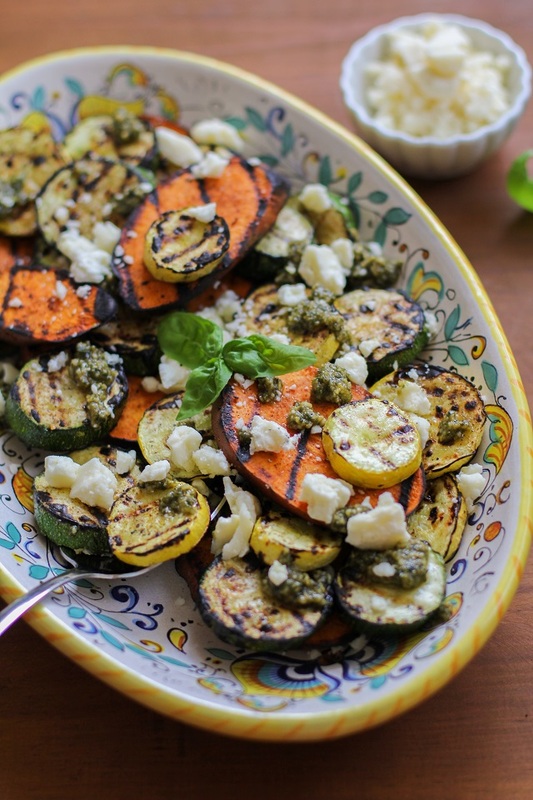 Grilled vegetables with pesto sauce and feta cheese? I know. It’s crazy simple, but it really does get the job done with authority. Believe it or not, this is the first time I had ever grilled sweet potatoes. I’m not going to lie and say grilling is my all-time favorite method of preparing sweet potatoes, because roasting them is what really whets my whistle every dang time. I do love the char taste and crisp, so I will say it was a pleasant first experience, and one that will be repeated. While grilled sweet potatoes aren’t my number one slow jam, grilled zucchini and yellow squash really play a number on my heart strings. Aside from grating up zucchini and sticking it in zucchini bread, over an open flame is how I like my squarshes cooked. I drizzled all the veggies with olive oil and sprinkled them with za’atar seasoning. You can also use your favorite spice blend, such as chili powder, curry powder, Cajun seasoning, or Jamaican jerk seasoning. Ohhhhh mamacita, it’s fantastic. Who’da thunk it? That the fresh basil pesto sauce you normally use for pasta or pizza can just be plopped upon some grilled veg and called a side dish. Just like that. The little sprinkle sprinkle of feta really ties the knot on this flavor matrimony. Since this recipe serves 4, I had a bunch of leftovers. I’ll show you what I did with said leftovers soon, but I’ll give you a hint: it rhymes with shmomlet. Cook the sweet potato in boiling water for 5 to 8 minutes, or until tender when poked with a fork. Set it on a cutting board and slice it into ¼”-thick rounds when cool enough to handle. 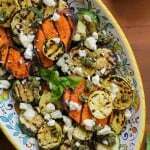 Brush the sliced zucchini, yellow squash, and sweet potato with olive oil and spinkle both sides with za’atar seasoning. Place the sweet potato slices on the grill and cook until grill marks appear, about 3 to 5 minutes. Flip and cook on the other side for 3 to 5 minutes, until sweet potato slices are tender and both sides have charred grill marks. Transfer grilled sweet potato to a large serving plate. Place zucchini and yellow squash slices on the grill and cook 1 to 3 minutes on each side, or until grill marks appear and squash has softened. Transfer to the serving plate with the sweet potato. 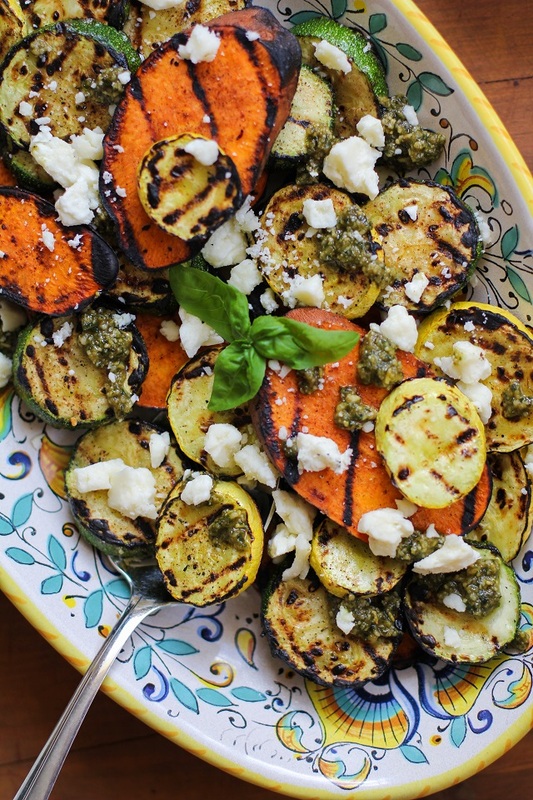 Drizzle the pesto sauce over the grilled vegetables and sprinkle with feta cheese. If desired, sprinkle with sea salt, black pepper, and a drizzle of fresh lemon juice. Serve with your favorite entree. *You can also use Jamaican jerk seasoning, curry powder, chili powder, Italian seasoning, or Cajun seasoning. 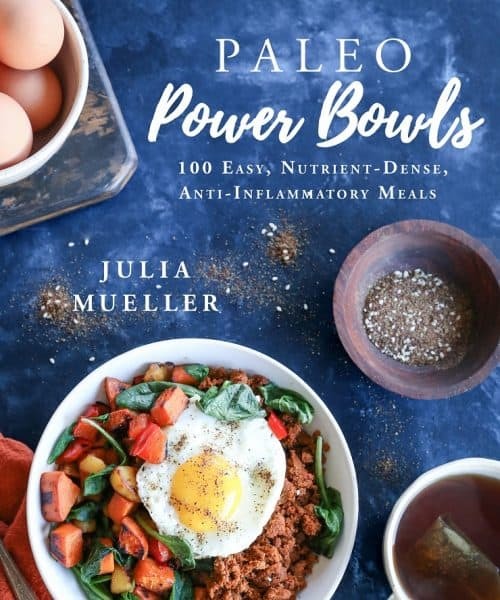 This is my favorite kind of meal! LOVE grilled veggies and with the feta cheese! Perfect! 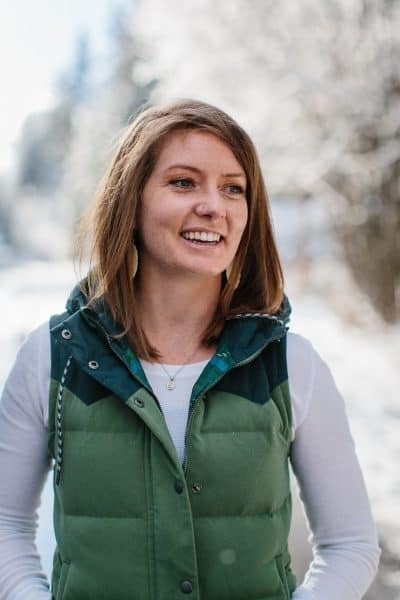 I have yet to grill sweet potatoes, but an article in Cooking Light had me intrigued by the idea. Now that I know it’s not your fave, I’ll skip that bit. Zucchini and squash were made for the grill, and that pesto–I want to get all up in it. Pinned! I’ve never grilled sweet potatoes either, but now I want to! I also really want a grill…. BUT but but this is absolutely the perfect side dish or vegetarian meal. I could eat that entire plate…. right now. I think grilled is the only way I haven’t eaten sweet potatoes! Now that must be remedied immediately. Wish I could faceplant right into that platter! I’m head over heels in love with za’atar! My bossy boss just got back from Lebanon with the best za’atar in all the land. You neeeeeed! Salad of mah dreams, right here. PS if you want to come up with some vegan grillable bacon, I will gladly taste-test. Looks relish! Almost as pretty as the platter its on….please, where is that from? 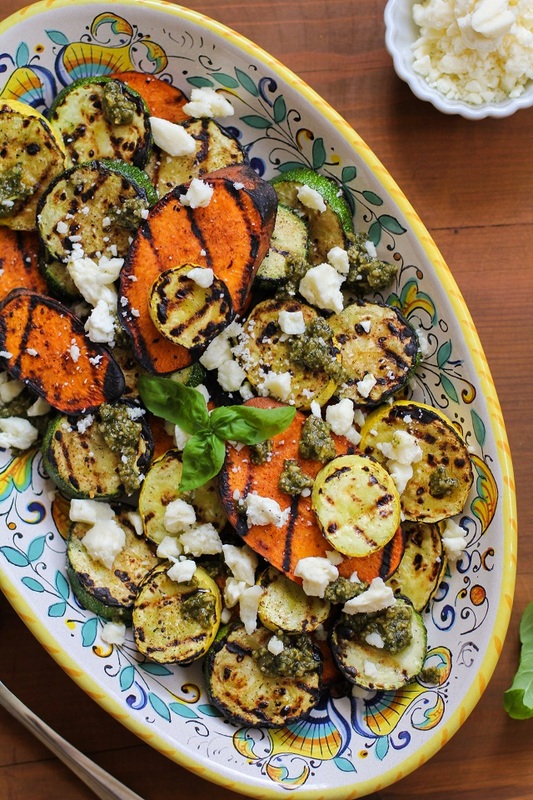 Adding pesto and feta to ANYTHING makes it ten times better, and the grilled veggies sound fabulous!